If you’ve been dreaming of making money online, you’ve probably read a lot about affiliate marketing. I’m here to tell you that it DOES work, and the income you can earn is only limited by how much effort you’re willing to put into it! However, you’ll need to have a niche website, and that is intimidating for most people. 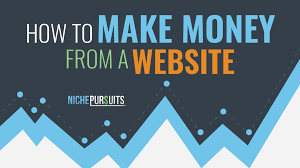 In fact, in my experience the process of finding a niche was one of the hardest things about starting an online affiliate marketing business. So what is an affiliate marketing niche? So What Are You Choosing For YOUR Niche? According to Merriam Webster a niche is defined as: For the purpose of affiliate marketing, a niche is a specialized market where you are going to find products to review and promote to your readers. The number of specialized markets out there is virtually endless, and you can find products or services to promote for nearly every one of them and earn income. You must have a niche because you need to target a specific audience who wants to see specific information and not just a general overview–these are the buyers! You want to capture the audience that’s as close to their buying decision as possible. For example, golf is very popular, but is very broad. If you have a golfing site and want to make money promoting quality golf clubs and accessories, you don’t want to compete with all the golf sites out there. 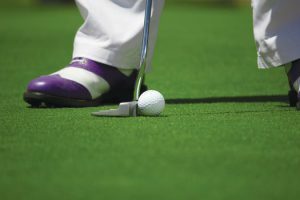 You want to attract the audience who is close to making a decision to buy golf clubs and accessories. By specializing in reviews of different types of golf clubs, you will show up in search engine results when people search for information on specific clubs–groove faced putter, titanium driver, cavity back irons, for example. A person searching for “groove faced putter” is much more likely to become a buyer than someone searching for “golf equipment”. OK, so where do you start first? While successful affiliate marketers know how to promote any product for profit, I’m a firm believer that it’s easiest to start looking for your first niche from your hobbies, interests, and anything you’re passionate about. After all, you’re going to be spending your time researching and writing about every subject associated with it. So choosing a niche that you are going to enjoy communicating to your readers will make everything come much more naturally and be more enjoyable for you. You will have more authority when writing articles, and your interest will keep you going as you’re building out your site. As an example, my mother absolutely loved gardening, and she could grow anything and everything well. She is not alone, various types of gardening are not only a hobby for many people, they are a lifestyle. My mom could definitely turn her love of gardening into a very profitable affiliate marketing website. Amazon–By doing a search in Amazon, I can find over 400,000 items that relate to gardening. There are more than enough products to promote once we specialize our niche. 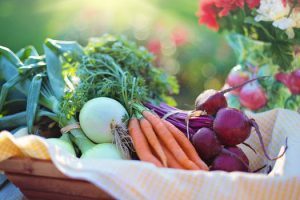 Affiliate Programs–Doing a Google search for gardening affiliate programs, there are many available in addition to selling on Amazon. It’s important that you can diversify and be able to refer customers to more than one retailer for the best chance at profitability. Now remember, a niche is a specialized market, and your next step is to narrow your focus. If your niche is too broad, it will be difficult to bring the right audience to your website since you’ll be competing with way too many larger websites for ranking in Google, Bing, and Yahoo. But if you narrow it down and focus on a smaller specialized market, it will be much easier to rank well in the search engines and bring traffic to your website. As you can see, there are many different ways to garden. But they can be narrowed down even more! 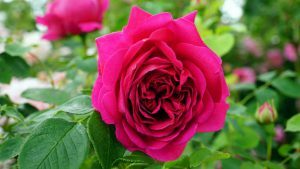 Let’s take flower gardening, do you know how to grow roses? Maybe your tulips are the envy of the neighborhood? These would be specialized markets that have followers who want information. Suppose you choose rose gardening as your niche, are there enough ways to monetize your site to make it profitable? 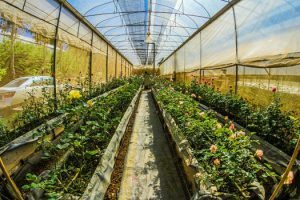 Think about everything that someone would use to plant and maintain a rose garden–a quality supplier of plants, fertilizer, mulch, compost, gardening tools, gloves, soil analyzers, landscaping materials, and many more. There are affiliate programs from retailers that supply all of these items, and you can review, compare, and promote all of them on your site. There are endless ways to educate and inform your readers about caring for and maintaining roses. You can also show how a beautiful rose garden fits in with your flower garden as a whole, which in turn opens up more avenues for content about related flower garden items. Creating videos about pruning roses, mulching and fertilizing roses, and preparing them for winter are all ways to add excellent content that will show your readers you are an authority in your niche. That trust will make your reviews all the more valuable resulting in more referrals to your affiliate retailers! Even though you are choosing a niche that comes from an interest, hobby, or particular passion of yours, that doesn’t mean you are an expert. But you don’t have to be! What you have to be willing to do is to put in the time and effort to thoroughly research each topic one by one as you create the articles on your site. You take your own knowledge and add in all the information that you can find to make a relevant, accurate, fun and informative article. You will find that you are learning right along with your readers, and that’s OK! In fact, I’ve found that the more questions I get, the more ideas I have for creating new content. The more quality content I add, the higher I get ranked and more traffic comes to my site. The snowball gets bigger and bigger rolling downhill, and the end result is more profit in my pocket! Remember, every one of us has something that we love to do or that we have a great interest in learning about. With some thought and the willingness to research and work hard, you can turn that passion into a money-making website! If you have any thoughts, comments, or ideas to share, please feel free to leave them below–I’d love to hear from you! Thanks, this clarification of how to define your niche was informative and interesting! I appreciate you taking the time to comment, thank you! Very informative and at the same time – clear, simple and short. So glad you found it helpful–thank you for stopping by! I agree that finding a good niche can be one of the hardest things when first starting out. Also finding one that has enough traffic looking for what you promote without too much competition. Research is also very important, do lots of research and you will save so much time and money. I made a lot of mistakes with the wrong niche simply because i didn’t do nearly enough research to know what I was getting into. I think your advice for picking something you are interested in is spot on. It’s much easier to pitch something you would like for yourself. I had advice from a member at Wealthy Affiliate tell me that since I was new, I’d do better with a niche I was really passionate about, and he was so right! It gets tiring and frustrating doing research and writing posts while waiting for that first site to get noticed by the search engines. I don’t know if I would’ve been able to keep the motivation up if I had a niche I wasn’t really interested in. So that will always be my advice for newbies! I can totally relate to “But I’m not an expert” part. It’s funny. At first, I thought I had no particular interest that I could latch on to as my niche in affiliate marketing. But then as I started looking at general keywords and drilling down to long tail keywords, I found myself getting caught up in the subjects I was looking at and reading up on the related materials that caught my fancy. Before I knew it, I had myself a niche market! This is what makes this industry so very interesting. 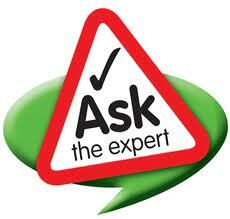 If you’re not an expert in a subject, you find yourself suddenly becoming one before you know it! That’s the same type of experience I had when starting out! It’s amazing the type of knowledge that you can obtain when you start researching something that you’re interested in. I had a hard time finding something that I wanted to write about at first. But now I have 6 websites and ideas for several more! That’s very informative and straight to the point. Few months back, I didn’t know what affiliate marketing was until started my search on making money online. It’s a nice way to earn decent money online but one of my issues has been settling on a niche for a website. As you rightly said it’s intimidating, I struggle sometimes when it comes to that. Thanks for the tips. I’m glad you found it helpful! Keep in mind that you can make money with any niche, so don’t let it stress you. If you pick something that truly interests you and that you enjoy researching and talking about, you can’t go wrong! One of the great things about the program that I host my websites with is that I can create up to 50 websites with their premium membership for just $49 per month. It’s Wealthy Affiliate and even their starter membership gives you the ability to create 2 sites! So you’ll have the ability to have a website in more than one niche. Good luck, and I wish you success in your online business! Thanks for your insight about niche selection. This is a short, sweet and very helpful post. I believe the most important thing when selecting a niche is : You need to love it. You can not give advice or write about something you do not love. Another thing that I think is also very important is your target audience which most of the times is overlooked. I agree totally! Finding a niche you love is especially important for beginners. Anyone who’s just starting out and not making any money yet can get discouraged if they’re not passionate about their niche. Once you get some experience and are seeing success, it’s easier to make money in niches that you pick purely for their income potential. Hello Janelle, I was thinking about a niche, but I’m not sure if it is too specific or just right. I was thinking about various dog bed’s from puppies to big dog’s. I’m not sure if I should also talk about other dog supplies, or if I could just stick with the different dog bed’s? For me personally, I would narrow it down to dog beds since dog supplies is a pretty wide niche with a lot of competition. Good luck with your online business! This is indeed very informative. I like how you pointed out that narrowing down your niche is actually better because you are then able to target and cater to the right audience that could potentially be and with higher chance to buy the product you’re promoting. That’s a very good point I have learned from you. I’m so glad you found it helpful–good luck with your online business! Thanks for this clear and informative article! Finding a niche does seem to be one of the most difficult things people run into when it comes to starting their online business. However, I think you nail it when you say to look at your hobbies and passions and then research to see if there is a market for them. If we like something, chances are we are not the only ones! You’re exactly right, and you can’t go wrong choosing a niche that you love! Affiliate Titan Review–Worth Your Money or a Scam?